Special Order for 2", 4-1/4"
made from shiny poly ribbon. 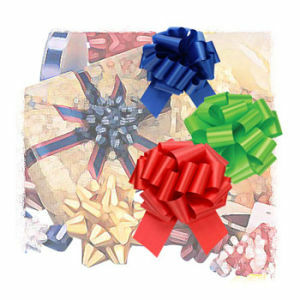 Order bows by the box. Each box size is listed below.